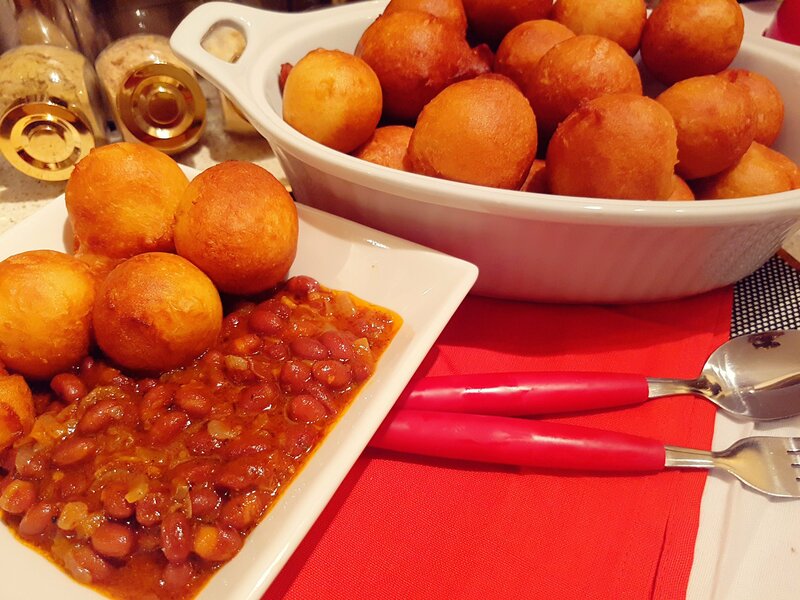 Puff puff is a very popular west African street snack. Most people love it when its still freshly made. It’s good for breakfast lunch and even dinner. It is a side dish for pap and beans. 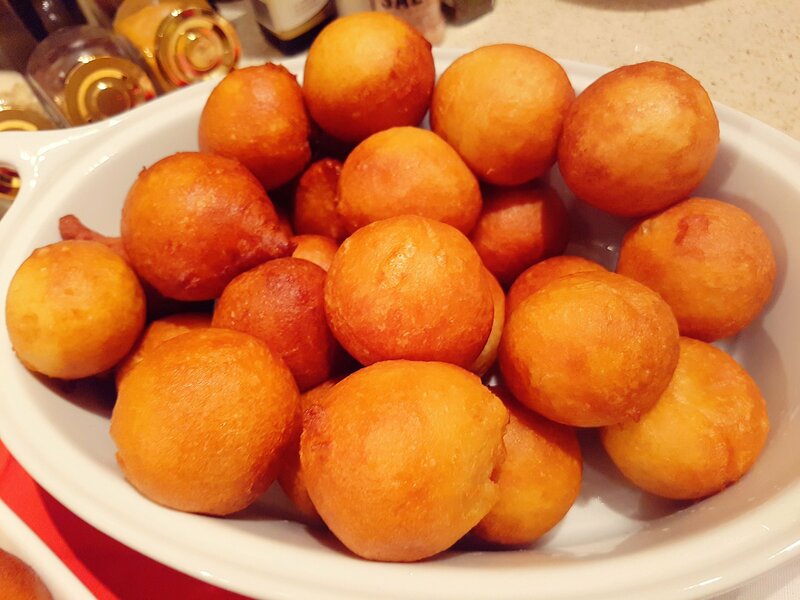 Kids and adults love puff puff . 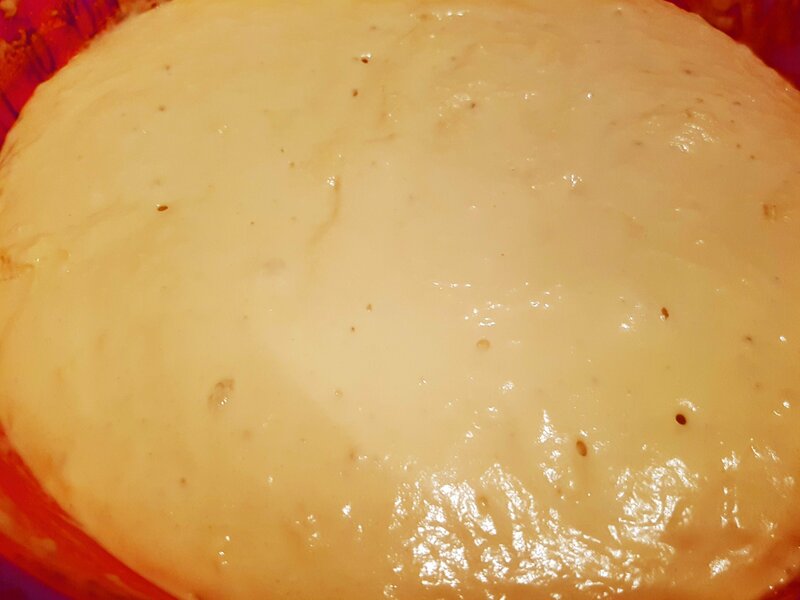 In a mixing bowl pour 1 cup luke warm water and add yeast. Set aside for 5 mins. Add flour salt and sugar and mix properly with your hands. 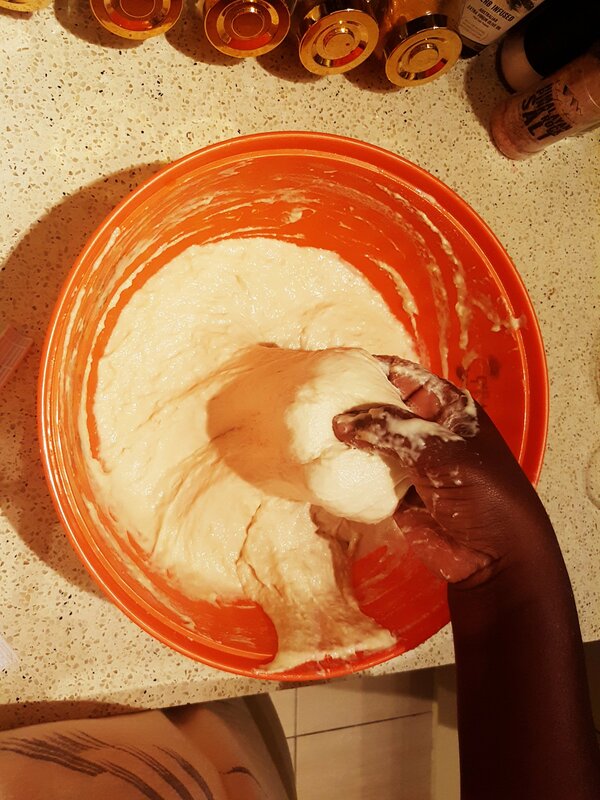 Add water bit by bit as you mix. As soon as batter is smooth, stop. 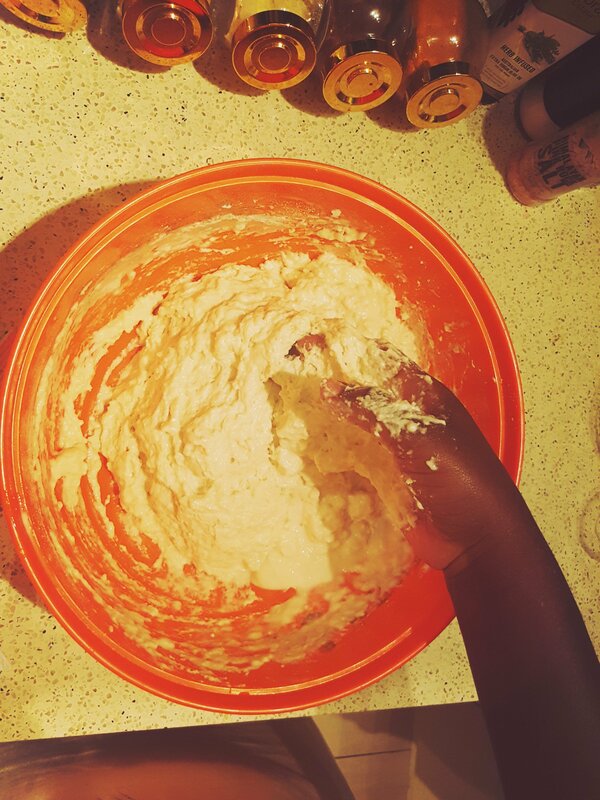 You will feel an elastic consistency of your mixture. You will notice some little bubbles which indicates your batter is good. Cover the mixture with firmly and set aside under room temperature for 1 hour. In a wok or a pot pour vegetable oil and heat with medium heat until hot. 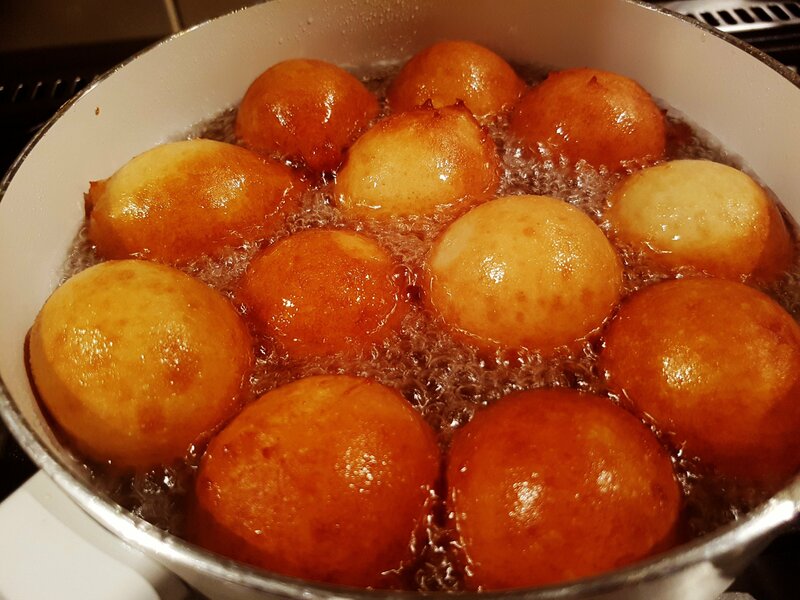 Scoop mixture with your hand and carefully drop each puff puff ball in the oil. For safety reasons make sure tour fingers doesnt touch the oil. 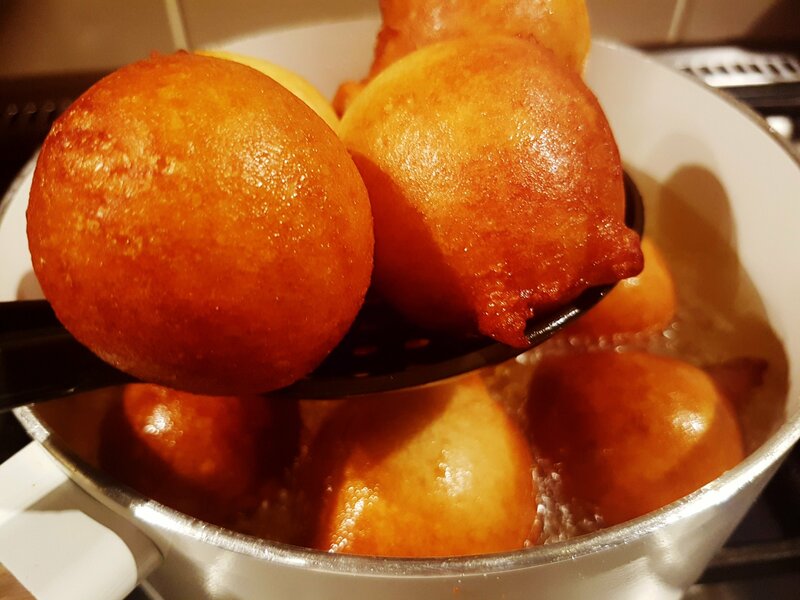 When your puff- puff is golden brown remove from oil and set aside. 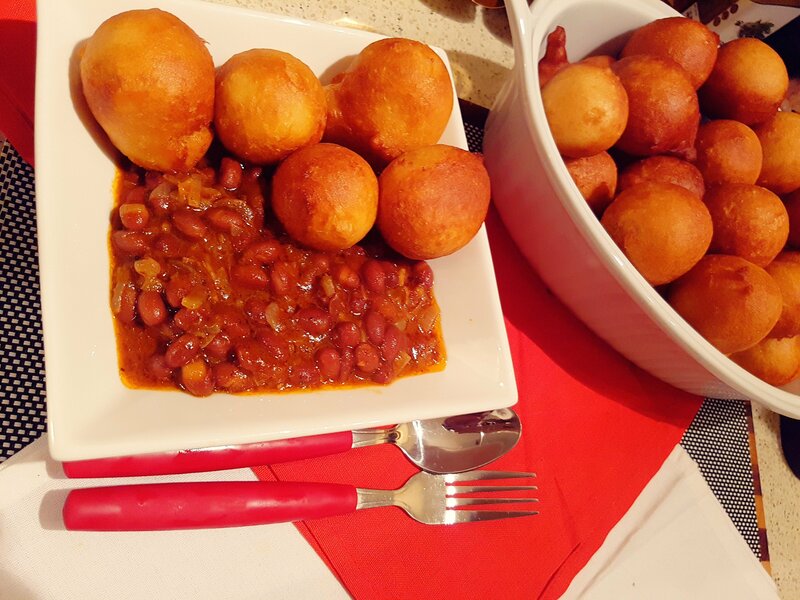 You can serve with pap or beans. 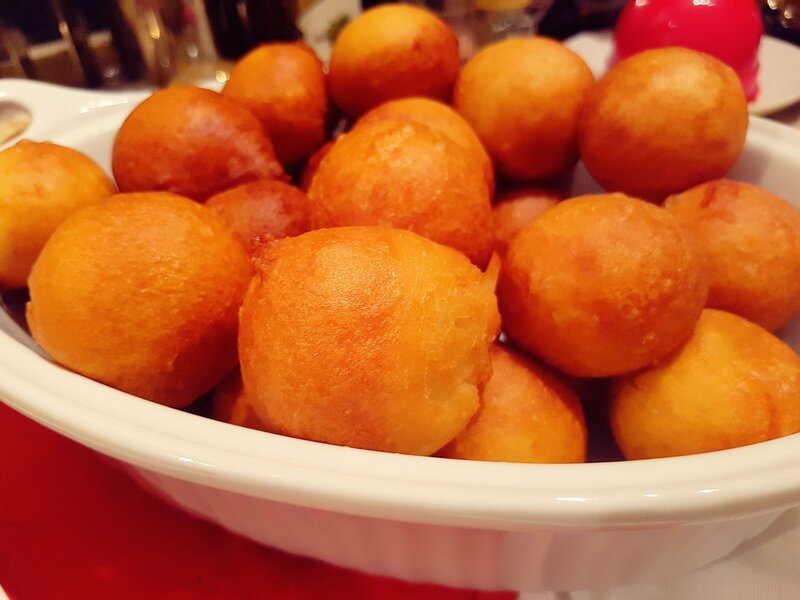 Make sure you use the right quantity and quality of yeast otherwise your puff puff will not rise or it will take longer to rise. In some cases 3 hours and evwn more. Be careful with the water you use . It must bw luke warm not hot water. Make sure you cover and kwep undwr room temperature so that it can double in size properly.